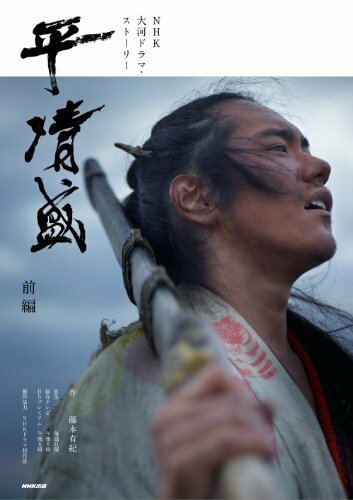 Kenichi Matsuyama on Taira no Kiyomori | personal.amy-wong.com - A Blog by Amy Wong. I haven’t had a very good track record with the dramas that I’ve been most excited about but perhaps this will prove to be an exception? God, I hope so. And I’m definitely catching Shokuzai, but I hope a fansub group picks it up. Also, they begin airing Kaitakushatachi (The Pioneers — next post to this one) tonight on NHK (in about 4 or 5hrs). I hope someone picks it up too. Happy New Year to you too, Amy! I have four dramas on my plate so I’m going to settle for reading reviews of The Pioneers first. But having seen her in Soredemo, Ikite Yuku, I have no doubt that Mitsushima is one to watch. This had the third worst opening in Taiga History with 17 % . The irony is it tied with 1972’s Shin Heike Monogatari which covers the same subject . For what its worth i managed to watch Ep’s 1 and 3 online the latter with subs but its tough because NHK are scouring the net and yanking them faster than a person can blink . So far despite what seemed a lame cast its been really decent and one of the more realistic Taiga’s and at least after Gou they (NHK )did bot panic and inflict another Chushingura or Nobunaga/Hideyoshi/Ieyasu drama on us .So i am hoping this picks up at least . Well, I think a 17% opening is normal considering how bad Gou was received last year – which was really sad because I really like Juri Ueno. NHK World Premium will start broadcasting the drama with subtitles in a week or two probably ,The Subtitled Version depending where you are in the world for example California it airs on Saturday After Noons around 2/3 pm ,also the subbed version will air in LA and Hawaii on local networks . NHK like to put about 5 weeks between non subbed and subbed versions . Gou is has the dubious honor of being the worst Taiga ever ,more for the overacting of Juri Ueno than anything else . Actually, the NHK signal I get doesn’t have subtitles at all. I sometimes get dual audio on news reports, but never subtitles. Actually, I thought Gou was bad for the story treatment and direction. Check your Saturday listings for the Kiyomori repeat because that is the only subbed program on the whole network ,though NHK never mention it ,its like a little secret . The Gou storyline was done better in 2000 with the Taiga Aoi Tokugawa Sandai ,plus i think people are just burned out on the whole Nobunaga/Hideyoshi/Ieyasu trio …as i say that Tv Asahi start Nohime next month about Nobunaga’s wife . I watch all of NHK’s reruns of the Taiga and I’ve never ran into one that’s subtitled, unless my cable provider is a very sucky one and I could only get the subs in the captioned text which they’ve stopped showing. That has been a problem with J Dramas they used to be subtitled until around 2003/4 when they just stopped caring about the export market and stopped subbing them as a result many US PBS stations stopped carrying them and replaced them with Korean and Chinese programming . The Dramacrazy site has the first 4 episodes of Taira No Kiyomori fansubbed ,It is not listed on the site but if you type it in the search function you will find it .